Freecharge offers, free recharge tricks :- Freecharge in collaboration with foodpanda,ixigo,beer cafe is offering 10 cashback on 10 Recharge/Bill Payments.You will get cashback instantly.Offer valid till 31 January, 2018.So Hurry up !! Use this offer fast. 3.Under New Payment section you can see "Deals",click on that. 5.Click on "Buy This Deal". 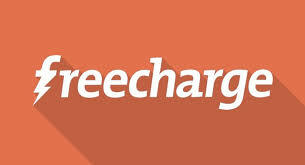 7.You will get freecharge 10 cashback coupon code,Copy the code and use it to recharge/bill payments of 10 or above. Note :- You can buy all three deals then you will get total 30 cashback through this offer. Read All "Terms and Conditions" of respective Deal under "Offer details". 4.Use Promo Code that you got.